He was in possession of a hammer and threatened staff, demanding cash. A MAN WAS arrested today after being held by staff of a shop which he had robbed. The incident occurred on the Old Swords Road in Santry earlier today. At around 1.20pm a man entered a shop on the road. He was in possession of a hammer and threatened staff, demanding cash. After an altercation with a staff member, he left the shop. The suspect then ran towards a car and assaulted the female car driver who suffered minor injuries. 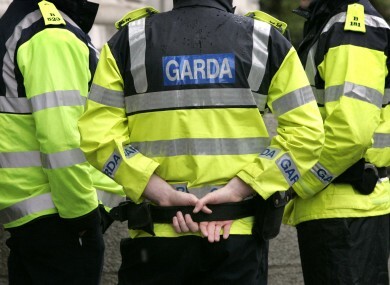 Staff and passers-by subdued the 29-year-old man until gardaí arrived. He was arrested and was then taken to Ballymun Garda Station, where he is being detained under the provisions of Section 4 of the Criminal Justice Act, 1984 as amended. Gardaí are appealing for any witnesses to the incident to contact Ballymun Garda station on 01 6664000. Email “Staff and passers-by hold man who tried to rob shop and attacked woman until gardaí arrive”. Feedback on “Staff and passers-by hold man who tried to rob shop and attacked woman until gardaí arrive”.